Home / Fanboy Fail Fridays! / Fanboy Fail Friday! 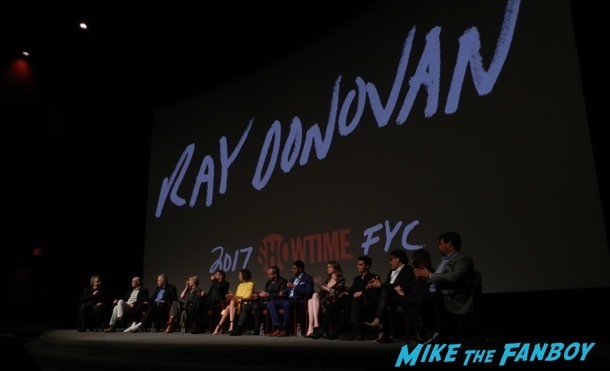 The Ray Donovan FYC Panel! Meeting Jon Voight But Liev Schreiber and Lisa Bonet Are No-Shows! Doh! Fanboy Fail Friday! The Ray Donovan FYC Panel! Meeting Jon Voight But Liev Schreiber and Lisa Bonet Are No-Shows! Doh! I suppose it should be a half fanboy fail friday to be honest. 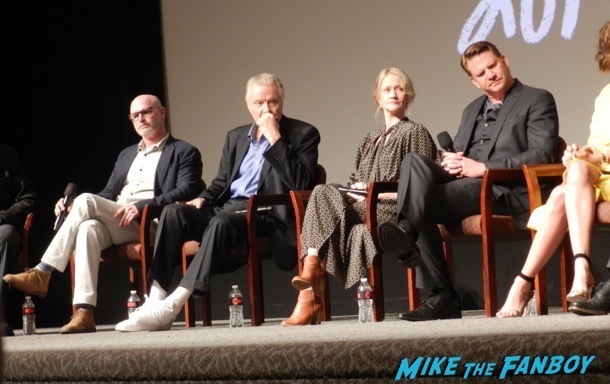 This week there was a q and a for the hit Showtime series Ray Donovan. Now, I wanted to cancel a couple times, but Billy really wanted to go, and it’ being his birthday and all I didn’t want to disappoint him. Sadly, once the q and a started, we realized that Live Schreiber and Lisa Bonet both cancelled. Doh! They were the only reason I really wanted to go and the only people I had something for them to sign. The panel was good however. 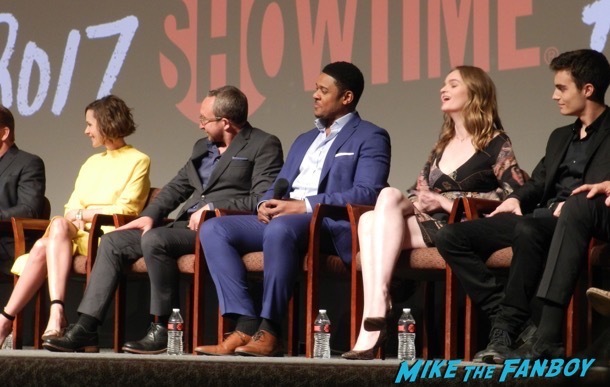 You can really tell the cast loves the series. “This script, that the writers have given you, and then we’re invited to come to the set with our own interpretations. I’m lucky at this stage of my life to be with people like this” said Jon Voight. The rest of the cast echoed that sentiment. And you could really tell that at the panel. After it was finished the cast who was there headed to the reception, but apparently it was sold out an everyone not watching the panel at all the food. So when the people in the panel came out, the tables were completely empty. 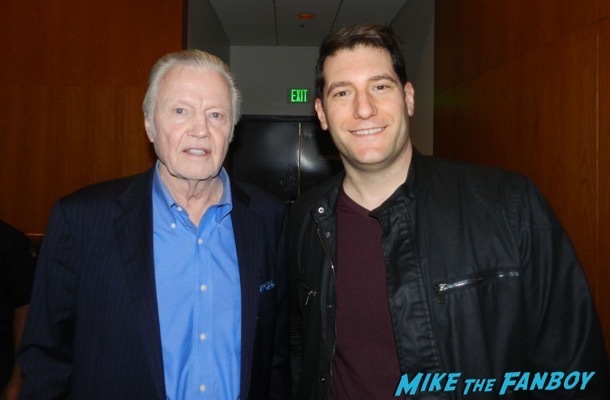 I did manage to get a quick photo with Jon Voight which is always nice. Still… I put this in the fail category! Fanboy Fail Friday! The Wonder Premiere! Owen Wilson Disses! Julia Roberts Doesn’t Show Up! And An Odd Encounter With Natalie Merchant! Fanboy Fail Friday! Cate Blanchett Ignores Six Waiting Fans After Arriving To A Q And A 45 Minutes EARLY! But Elisabeth Moss Is Awesome! Fanboy Fail Friday! Chris Hemsworth Disses A Line Of 100 Fans While Signing For 15 People! Doh!